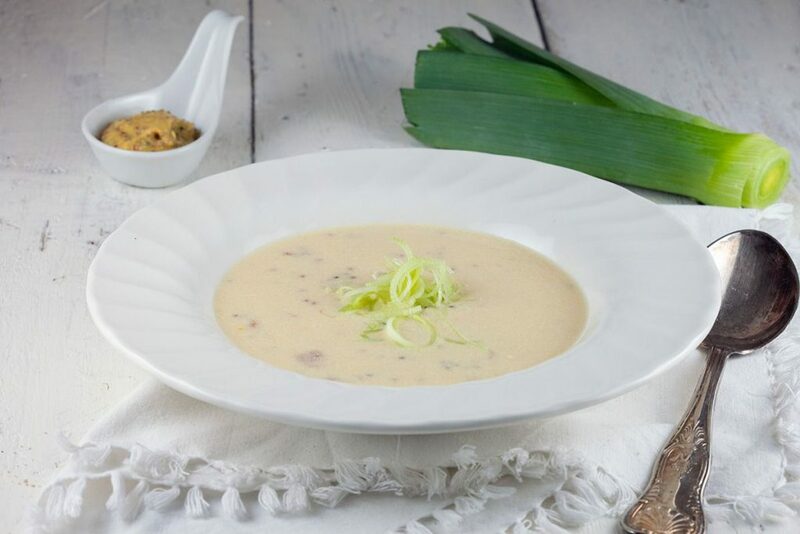 Dutch mustard and leek soup is super quick and has a rich and creamy flavor. Made with coarse mustard for a perfect texture. Ready in 20 minutes.